Washington (CNN) - If you're a national political party salivating over the prospect of winning a seat that's long been in your opponent's hands, what should you do? One strategy: give your candidate a huge megaphone. 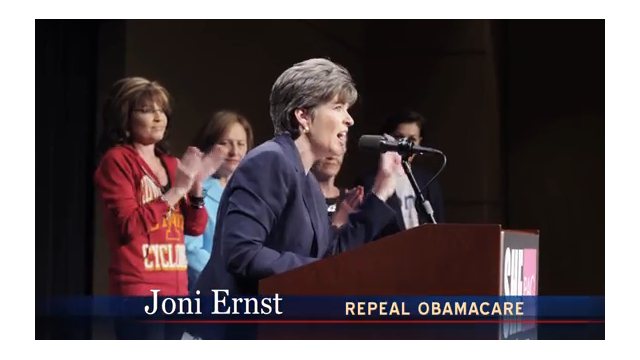 Enter the Republican National Committee, Iowa GOP Senate nominee Joni Ernst - and an address heard by millions around the country. On Saturday, Ernst delivered the weekly Republican address. The candidate pushed familiar conservative themes: smaller government, opposition to Obamacare and strong national security. Ernst also played up her outsider status and pushed populist themes. (CNN) - "Curiously blind" and "wrong." Is Rick Perry previewing harsh political attacks against Rand Paul should the two potential 2016 presidential candidates square off in a debate over foreign policy? Washington (CNN) – Is a law designed to protect children from human trafficking actually causing a humanitarian crisis along the U.S. southern border, allowing thousands of children to illegally surge into the United States? Amid the crisis and calls to change the law, one of its chief backers defends it.